Etonline.com: The Kardashian-Jenner family is always full of surprises! 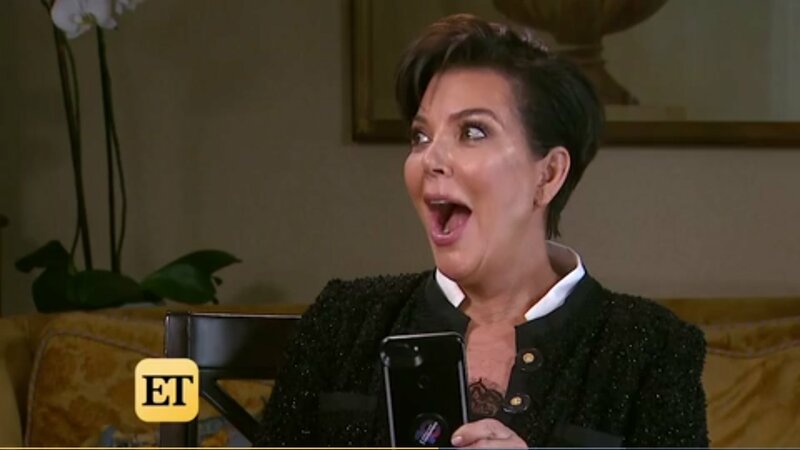 ET’s Cameron Mathison sat down with Kris Jenner on Tuesday, where he convinced her to prank call one of her famous children! “Like, naked? You’re going to be naked?” Khloe asked. “Well, they said I don’t have to show anything,” Kris reasoned. “Well, they said the same thing to Kim!” Khloe pointed out, before seemingly doing a 180 in favor of her mom posing for the magazine. See Kris’ reaction to Khloe’s unexpectedly kind words in the video player above. Kris had no problem gushing about her kids during her interview with ET, revealing that she’s “over the moon” for Khloe and her NBA star boyfriend, Tristan Thompson. ET learned last month that the couple is expecting their first child together.